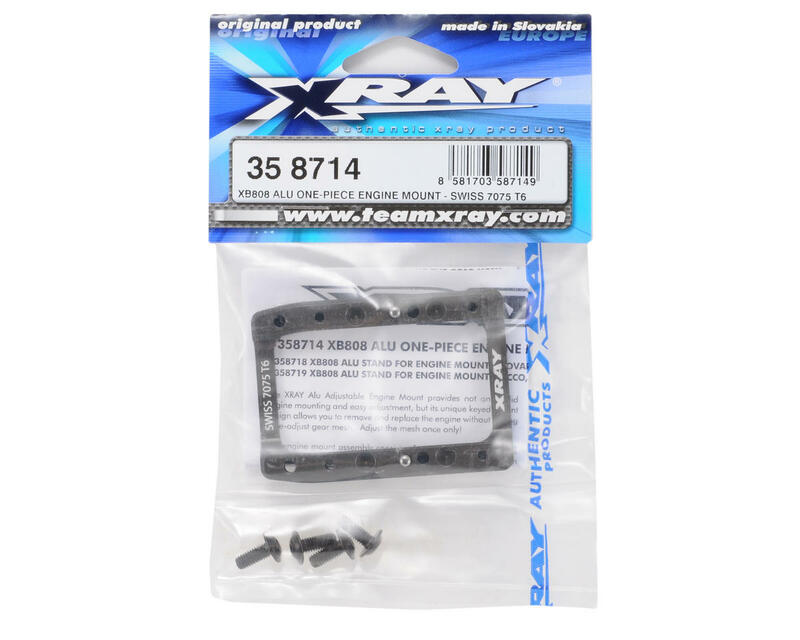 This is a optional XRAY 1-piece lower engine mount base, and is intended for use with the XRAY XB808 and XB808 09 Spec Buggiess, as well as the XT8 2009 truggy. This engine mount has been CNC-machined from premium Swiss 7075 T6 aluminum, hardcoated for extra durability and long life. Ultra-strong construction provides very long life and durability in even the most extreme racing conditions. Providing not only solid engine mounting and easy adjustment, the unique keyed-mount design allows for the easy removal and replacement of the engine without the need for gear mesh re-adjustment. The smartly-designed mounting system consists of two components: and adjustable base (which is affixed to the chassis), and a pair of upper mounts (which stay attached to the engine crankcase) that key to the base. This enables the engine to be mounted and dismounted each time without needing gear mesh re-adjustment. Engine mounts are designed to allow easy access to the engine’s rear cover so you do not have to dismount the engine at any time. 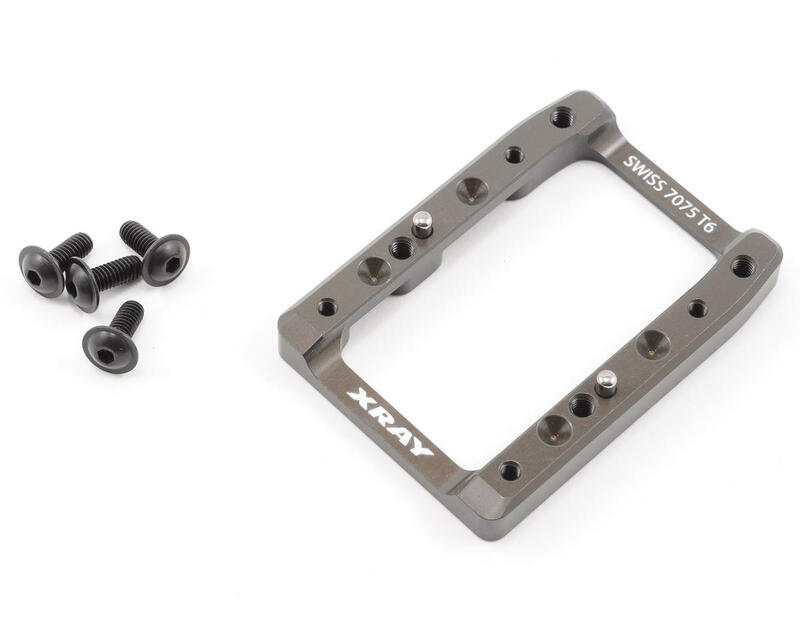 Optional upper mounts are available for either Novarossi or O.S. based engines. Engine swaps are now super easy! You can have few engines prepared in your pit box with the engine mounts attached; then just simply remove one engine from the base mount and replace it with another. Precision machined with highest tolerances using premium fully-automatic German CNC-machines. High-quality hardcoating is done at XRAY’s own in-house fully-robotic hardcoating line, ensuring a perfect hardcoated surface every time. Laser-engraved with the XRAY registered logo for authenticity. NOTE: This engine mount is the lower portion of the mount only. The upper mount blocks for Novarossi or O.S. engines must be purchased separately. Note, this does not come with the corresponding engine block. You will have to buy that separately for $45.00, so you will spend close to $100 on an option that used to cost $75 on the XB8 EC but included the engine block.